Is it right for women to be in the workplace? People have differing opinions on this. Some say ‘Yes’ while others say, “No! Women should stay at home and not step outside.” People may even quote Scripture to substantiate their opinions. God did say a woman’s primary calling is to be a wife to her husband, a mother to her children and a keeper of the house. But He did not say a woman is not to be involved in business. In our study of God’s Word, we find that God has used women in different capacities throughout history, outside their homes. 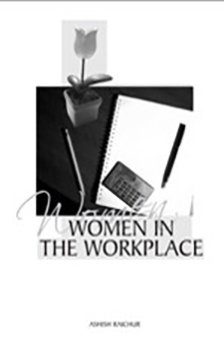 The Bible does not categorically state anywhere that women should not be in the workplace. In Biblical interpretation, if the Bible does not oppose something, then it means that God allows us to make the right decision within the boundaries set by other related Scriptures. Women, God needs you where people are, because He needs your voices to speak to them and your lives to demonstrate love to them. So make a difference in your workplace, where God has placed you!